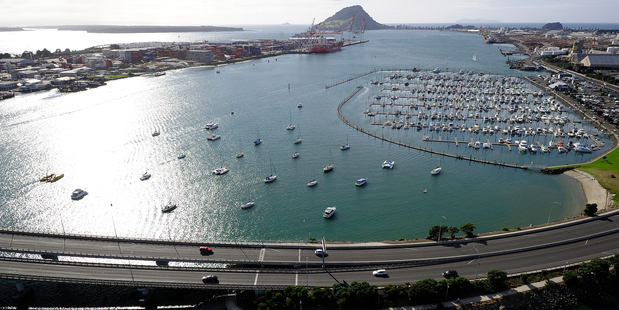 Tauranga City is a vibrant, growing city, and Tauranga Te Papa Rotary is a lunchtime club, that meets every Thursday at midday, at “Daniel’s in the Park”, Memorial Park, 53 Eleventh Avenue. Tauranga Te Papa Club is an active and innovative club that welcomes both new members and guests. Our current membership stands just over fifty, plus six honorary members. Several of our members are also active within the district scene, with Keith Owens being District 9930’s Governor in 2016-17. This Club has a long record of community and international activities including countless visits and exchanges with Rotarians and students worldwide, as well as a commitment to projects in the Pacific Islands and South East Asia. Tauranga Te Papa is an active supporter of the “Tanna4Water” project in Vanuatu. We have several fun orientated fundraising projects. 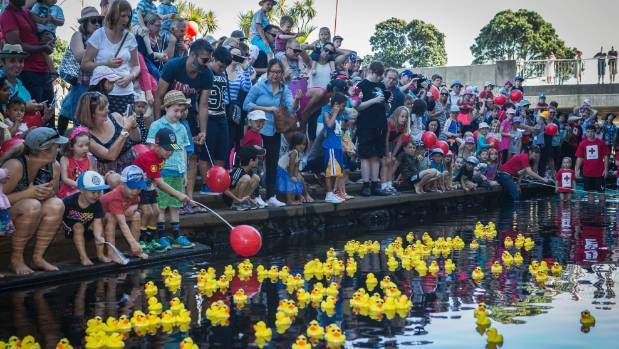 our most recent being The Great Tauranga Duck Race held annually with 5000 ducks raced along a 400 metre course on the Harbour waterfront. Another major fundraiser is our Annual Melbourne Cup Charity Luncheon. These are both fun events, with huge participation from both Rotarians and Non-Rotarians alike. The biggest winner, of course, is the community and international initiatives that we support. Rejuvenation is an essential component of any organisation, and Tauranga Te Papa Rotary is always keen to recruit new members who espouse the Rotary ideals, including “service above self”. We all have a contribution to make, and if we share this ethos, then the totem is not challenging. We live in one of the best cities in New Zealand (and arguably the world), and our goal is not only to maintain a vibrant Club, but to do so with increased participation. Typically 80% of the work is achieved by less than 20% of the membership, and the challenge is to increase that participation rate (in all aspects of Rotary) so that we all get the most out of this wonderful organisation. With a good mix of membership, we meet on Thursday lunchtimes, and pack a lot of fun, good humour, good food and networking into the middle of the day, with a diverse range of entertaining & inspirational guest speakers. Visitors and partners from other clubs are always welcome to our luncheon meetings.